This week the bank UBS and the consulting firm EY released their 2016 real estate reports. UBS says home prices are expected to fall for the first time in 17 years. EY is bearish on some sectors but more sanguine on home prices. The main brake on home prices is affordability according to UBS. Since mid-2014 buying a home has been cheaper on average in Switzerland than renting. But the share of households that can finance a home purchase has fallen by half since 2008. Incomes have failed to keep pace with the rise in prices. The affordability guidelines of banks restrict the maximum mortgage loan to five to six times a household’s annual income. Back in 2008, half of Swiss households would have received financing for 80 percent of the value of a newly built home with 120 square meters. Today, it’s only a quarter. 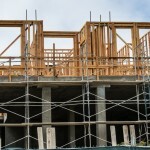 The UBS report adds that potential home buyers have been forced to shift their focus from high-priced regions to areas with affordable housing. 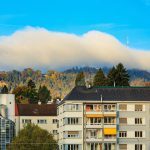 As a result, the steepest rise in housing prices last year was in eastern Switzerland and German-speaking Central Plateau. In addition, many households are rethinking exactly how much space they need. Condominiums are benefiting the most from this trend, as they require less of a down payment. Condominiums could increasingly replace single-family homes as the property of choice even in outlying locations. Although operational costs remain low, the price of owning a home is unlikely to rise this year. Widespread loan restrictions, rising vacancies and stagnant incomes are limiting the scope for price rises even in peripheral areas. 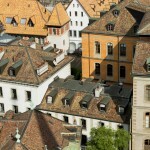 The average offer prices for single-family homes across Switzerland are likely to stay unchanged this year, while condominiums may even fall by one percent. The consulting firm EY’s recent real estate report also shows an overall downturn in sentiment compared to last year. 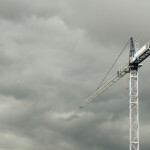 According to them, while investors continue to find the Swiss real estate market attractive, the outlook has grown somewhat gloomier since last year. Survey participants see the best opportunities for gains in the residential sector. The picture for hotel property prices, by contrast, is bleak. All of the roughly 40 participants in the EY survey expect stable to rising residential prices for 1A locations, with the majority anticipating that prices will hold steady in 2016 for 1B locations and the periphery as well. The expected trend in hotel property prices is bleaker. Investors are especially pessimistic when it comes to peripheral locations, where 81% of those surveyed expect hotel prices to collapse. According to EY, investors prefer the Zurich region for office, retail and residential properties alike. Basel is also popular as an investment location, followed by Geneva in the office property sector and Lucerne in retail and residential. My goodness you are truly in negative mode – just re-read both Articles.